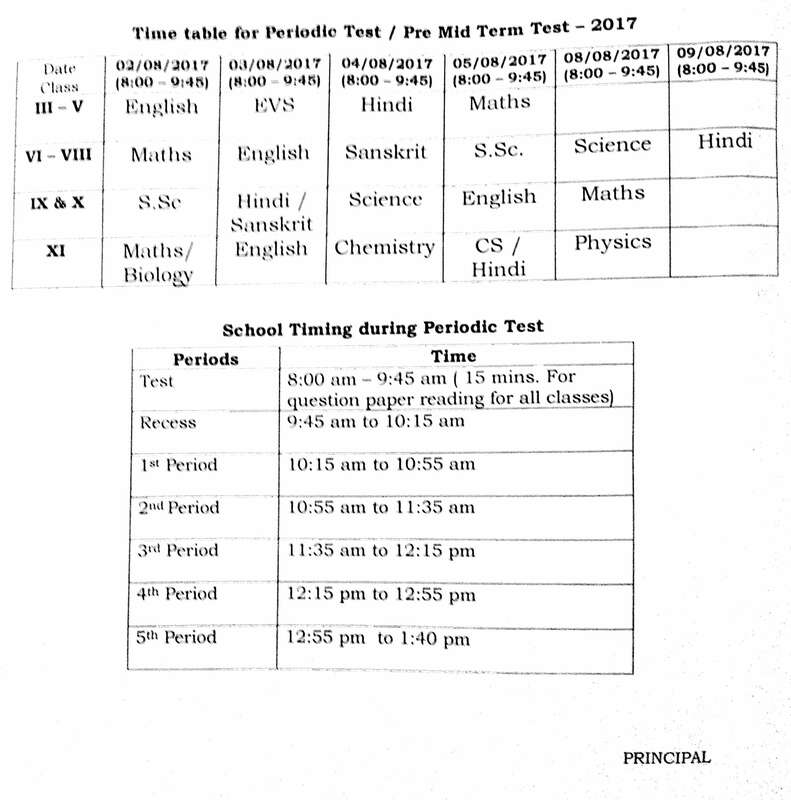 Periodic Test 1 for Classes III-XI will commence from 2nd August 2017. Posted on July 31, 2017, in Uncategorized. Bookmark the permalink. Leave a comment.